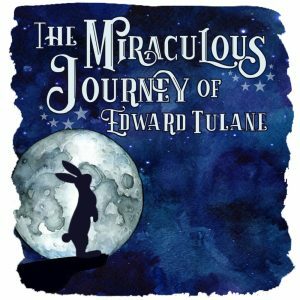 Muncie Civic Theatre presentsTHE MIRACULOUS JOURNEY OF EDWARD TULANE in the Casazza Family Memorial Studio November 9-11, 16-18. Friday, & Saturday shows are at 7:00pm and Sunday Matinees are at 2:30pm. Tickets are $13 for adults and $10 for students. General Admission Seating. Edward Tulane, a vain porcelain rabbit, learns how to love and discovers a true miracle. Based on the book by award winning children’s author of The Tale of Despereauxand Because of Winn Dixie. THE MIRACULOUS JOURNEY OF EDWARD TULANE is presented by special arrangement with The Dramatic Publishing Company of Woodstock, Illinois.